Stumbling upon a good Dr. Seuss book is not exactly a surprise, but for me this book was. A double surprise, in fact. OK, enough stalling - I'll give it away. Yep, I never come across them. To make it worse, I only hit upon this little gem by chance. Yep, I never read it, never heard about it and never saw it in my life. (There, I confessed). How did I find out about this Dr. Seuss classic? Well, in our home library we have many amazing books authored and illustrated by Chris Van Dusen, but two of them are special in their own certain way. Those two books (I'll tell you their names later) by Van Dusen have a certain "Je ne sais quoi" to them, but I could never identify the source of their mysterious allure. So, yadda, yadda, yadda, many years passed and one day I opened this magical creation by Dr. Seuss. 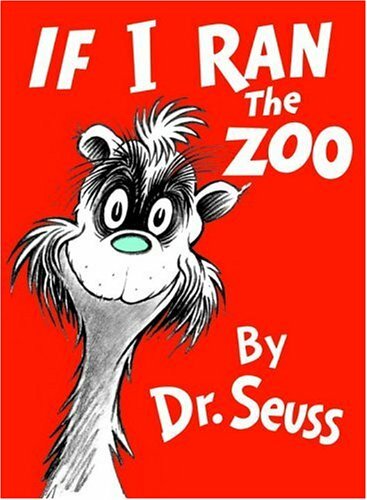 I ordered "If I Ran the Zoo" to widen our collection of Seuss masterpieces, but I truly did not know anything about it. OK, it arrives and I just popped it into the library and forgot all about it. Months - or even a year - pass. One day, I pulled this Dr. Seuss classic out of the shelf and read the first page about a young boy who decides to visit the zoo. The book seems nice, not too wacky (as Dr. Seuss books sometimes are, I have to say). "But if I ran the zoo, ... I'd make a few changes. That's just what I'd do"
Wait a moment, this is so familiar I thought to myself. And then ... it hits me. We've read this 'story' before. Children's audio books were a chance discovery. But before you accuse me of being dimwitted, let me explain myself. Of course, I knew about audio books. But what I did not know about was the amazing power of children's audio books. They have quadrupled the amount of reading aloud/listening that we can do in a single day. It's no longer just me reading to my kids. 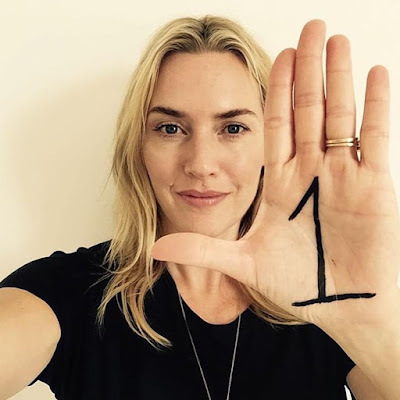 Nowadays, my kids are enjoying the voices of Kate Winslet, Kelsey Grammer and Ted Danson reading to them. Did I mention that Tim Curry, Walter Mathau and Billy Crystal also drop by from time to time? Yes, we are having a blast enjoying read alouds from all these amazing actors and many more. They share the spotlight with Read Aloud Dad now. What a lovely word for a children's book! Was there ever a book with a more suitable title? 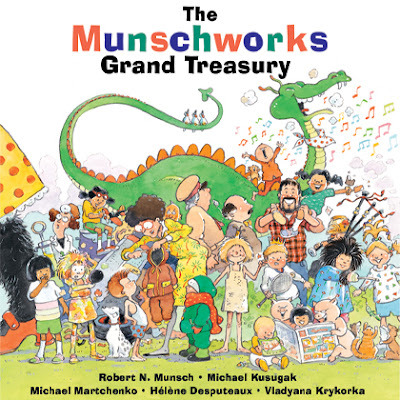 I sort of remember reading one short story by Robert Munsch when I was a kid, but back then I wasn't aware that his opus was so large, so off-beat and so crazily well-tailored to children. 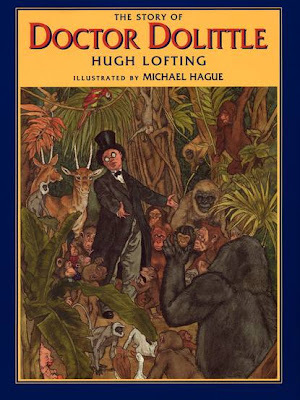 Fast forward 25 years and I discovered this amazing collection of 15 picture books - compiled into one (I have to repeat it!) grand treasury - with almost all of the best stories penned by Munsch. Usually, when I think back to a book purchase that I made, often I remember my personal struggles that I had at the time. OK, money is a factor - of course. We all know it does not grow on trees. Admittedly, it always boiled down to a single question: should I buy it or not? But the real question is always ... will my kids get something new, something they would love out of this book. In fact, I ask myself - will this book change their lives? A parent should always seek out books that will turn the lives of their kids upside down - metaphorically. I need books that will break down walls that my kids didn't even know existed. I count the pros and cons. And I admit - this book is one of those purchases that I struggled with.